(Rice, Brown) We buy and eat only whole grain brown rice, like this or other varieties. Brown rice retains the bran and germ which contain many of the nutrients and the fiber. 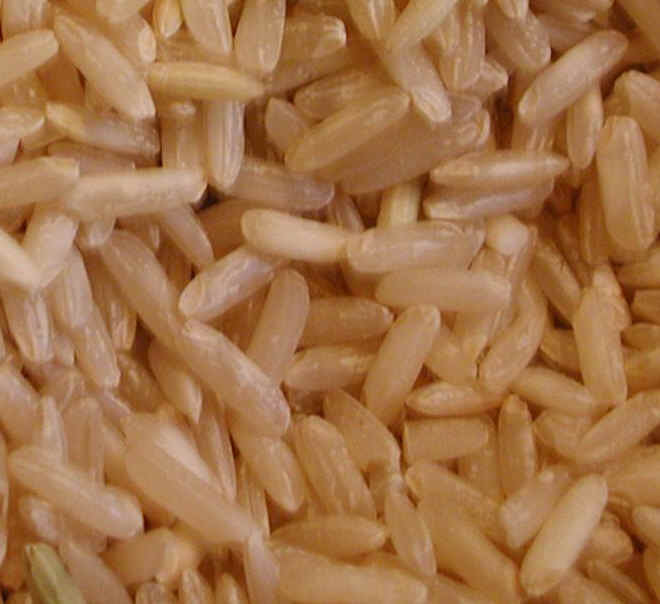 Brown rice also has more flavor, which some people describe as "nutty". 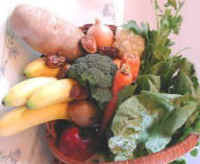 This is really the natural flavor of rice, which has been removed from "white rice" along with many of the nutrients. 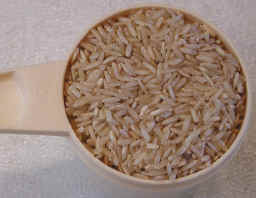 The upper photo is an enlarged view of the brown rice. The cup of rice (right) is actual size. See nutritional charts below for raw and cooked brown rice. Scientific Name: Oryza sativa L.